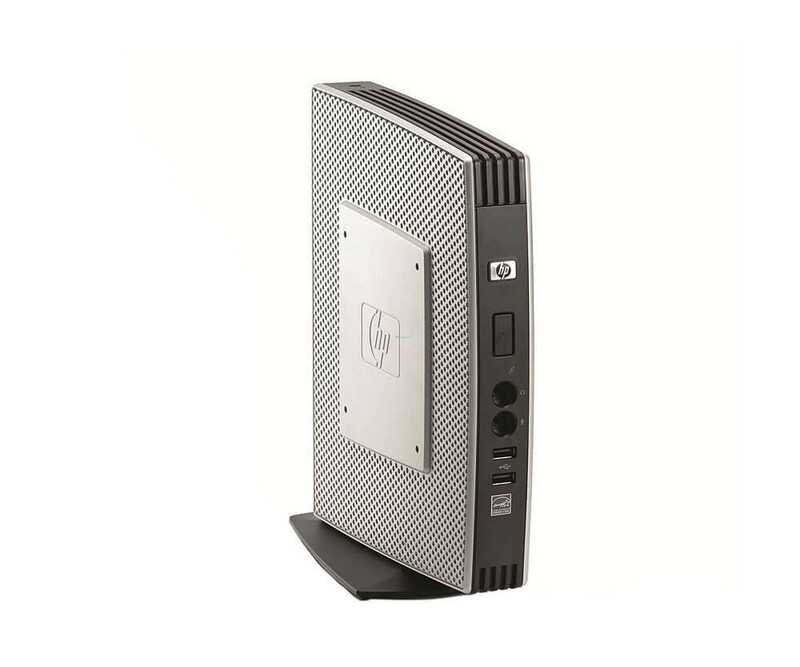 HP Flexible Thin Client t610 - RAM 2 GB - 2 GB Flash - WES - H1Y44AA - AMD T56N APU / 1.65 GHz"
HP has developed the thin client t5740e for even more user-friendliness, but also provides the necessary performance with the latest technologies. HP has developed the thin client t5740e for even more user-friendliness, but also provides the necessary performance with the latest technologies. This gives companies the ideal prerequisites to integrate the used thin client into their own environment. Technically, the system is, of course, operational without restrictions, only optical traces of use are possible. The Intel Atom N280 and 2 GB DDR3 memory are responsible for the performance. Even if the HP thin client t5740e is to execute individual applications directly, it can easily do so. However, it is primarily intended for use in the server environment. 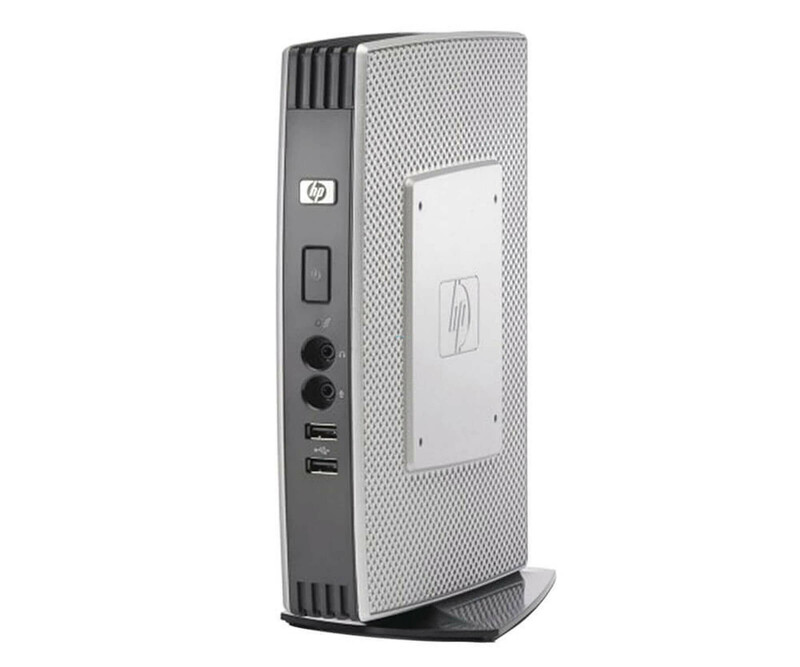 To connect the peripherals, the HP Thin Client t5740e offers a total of eight USB 2.0 ports, PS / 2 ports for the mouse and keyboard, as well as audio interfaces. Screens can be operated via VGA and DisplayPort, whereby the latter of course allows a particularly good display. The network connection can be done directly via the Gigabit LAN connection. 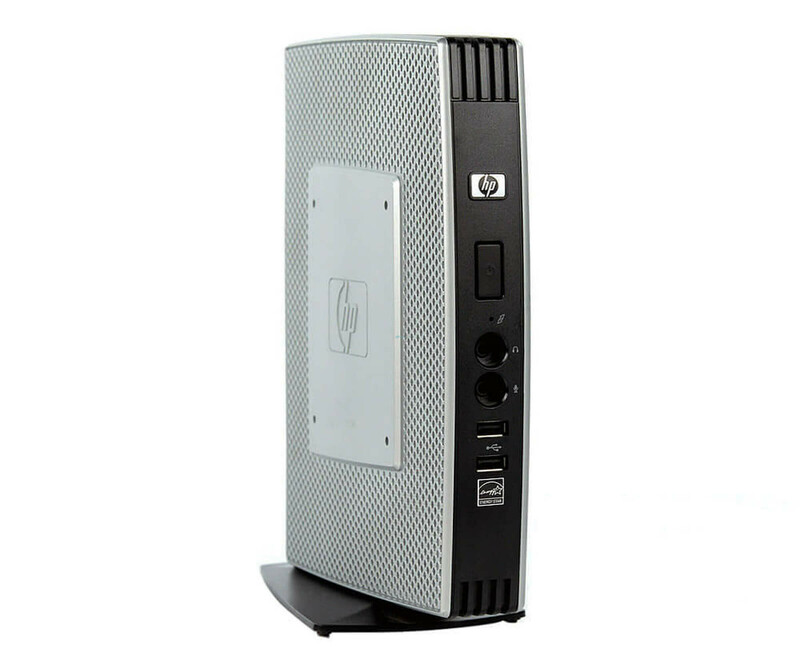 Windows Embedded 7 is pre-installed on the HP thin client t5740e as an operating system. This is located on the 4 GB flash memory and is ready for use. Simply unpack the used thin client, connect it, and start directly into your company. The power supply and the stand are, of course, included in the scope of supply.